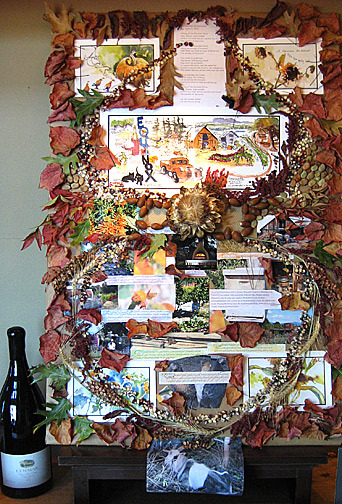 After the equinox workshop I gave at Lynmar gardens I offered help with a garden art display created for the gala event held for the wine club members. The idea was to bring the beautiful gardens inside for this formal affair in the form of a storyboard depicting a day in the life of the garden. My sketches as well as pictures taken at the workshop were placed on the board and then the seeds and grasses and leaves from the harvest were placed around the images along with the names of all the species of plants and the lyrics for a Lynmar song written by the owner. As we were getting the show ready for ARTrails this weekend I realized that this painting is a kind of illustration of life at Laguna de Santa Rosa, the area the Lynmar estates occupies. The lowlands flood in the winter and the migratory bird life explodes. Flocks of wintering egrets and great blue herons and others take up residence. You can see them sometimes as white masses on the shores. I’m not sure what it is about cornstalks, even the dry ones, that never fails to light me up with longing for some kind of country peace. . . Obviously I’ve never farmed corn or my associations might be of work! This is really wonderful, Susan! How proud I am to see your paintings on this board! And a great idea too! 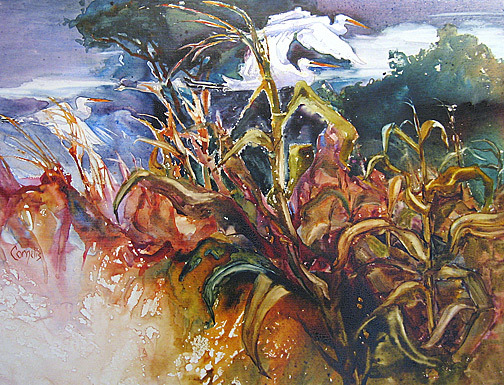 I also very much love the painting below, “The Guardians of The Fields”. I spent many hours in the last years watching at herons and egrets with my sister-in-law from Paris, in La Camargue and at many other places.I loved it. I adore the way how you represented them here. Is the original still available? Or Giclee prints? 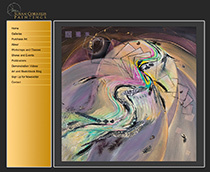 THe original painting AND giclee prints of all sizes are available for “Guardians of the Fields”. Thanks Miki!